Optimised rotor for injection sprues. Lower dust and shavings through lower rotor speed. 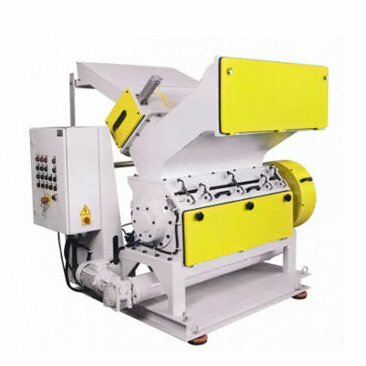 Optional equipment for automatic discharging. Suitable for general or specific purpose use. Specific rotor designs for all specific demands. 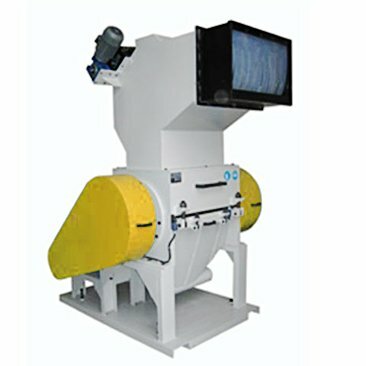 Full range of equipment for diverse material recycling. Easy, rapid cleaning between different materials and colours. Special designs for all recycling requirements. Full capacity and high output round the clock. Simple maintenance and part replacement. Reliable, robust and durable structure. Pneumatic, speed controlled sheet hauler for direct feeding. Simple and fast screen and knife replacement. 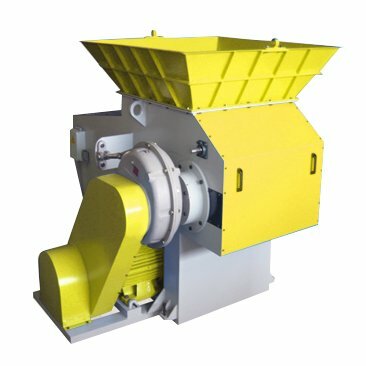 Specially designed rotor and knife profile for higher throughput and less dust and fines. True scissor knife angle provides higher quality regrind. High precision manufactured, MIG welded steel chamber, frame and hopper. Strong and heavy design with thick slab steel incorporating reinforcement ribs for safe and long lasting operation. Optimised design geometry and large input volume ensure powerful and trouble free operation. 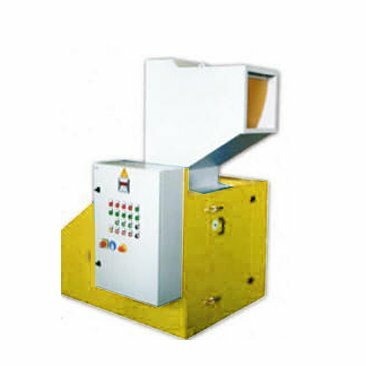 Cutter tools (crown knife) and rotor profile guarantee maximum throughput capacity, homogenous regrind size, reduced wear of screen and low heat-up of rotor and regrind. Durable and long lasting screen determines the chip size. Reliable automatic reverse function avoids rotor jam. Reliable hydraulic power unit with oil temperature and level control. 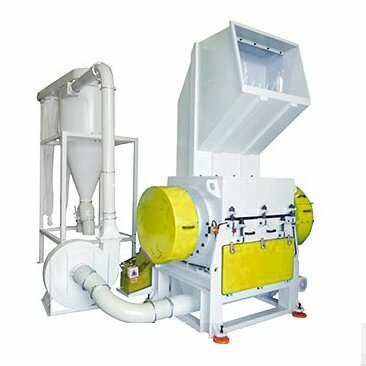 We have a full range of granulators, please contact our sales department for further information and a quotation tailored to your requirements.